The National Weather Service has issued a coastal flood warning for our area now through 8 p.m. tonight. 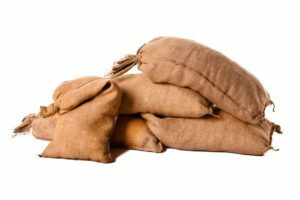 The Calvert County Department of Public Safety is urging county residents to be prepared and is making sand and sandbags available for residents who need them to protect property. · The Calvert County Government Highway Maintenance Building located at 335 Stafford Road in Barstow. · The Appeal Landfill located at 401 Sweetwater Road in Lusby. · The Mt. Hope Convenience Center located at 96 Pushaw Station Road in Sunderland. Residents are responsible for filling the sand bags. Shovels will be provided and county staff will not be available to assist. To keep abreast of local conditions and emergency information, residents are encouraged to download the free “Prepare Me Calvert” emergency preparedness mobile application available for iOS (Apple) and Android devices through the Apple App Store or Google Play. Residents can also sign up for Calvert County ALERT online at www.CalvertCountyMd.gov by clicking the Emergency Alerts button. Those without internet can contact the Calvert County Division of Emergency Management at 410-535-1600, ext. 2638, to sign up or for additional emergency preparedness information. This entry was posted on September 11, 2018 at 10:31 am and is filed under All News, Calvert News, County, More News, z 600X120 Top Ad Bottom, z 600X120 Top Ad Top. You can follow any responses to this entry through the RSS 2.0 feed.